Written by: Charles Chaplin, etc. It's often fascinating to look at the earliest works by accomplished film artists, such as the silent-era programmers of the studio-era directors, or the short student films of the modern-day directors. In the case of Charles Chaplin, his early films are not only interesting and revealing, but also very entertaining. Even as he developed his art, he was already a born showman. He learned a great deal during his first year in the film business. In fact, it was almost exactly a calendar year: he entered the employ of Keystone studios in February of 1914 and left it in December of that same year for a new contract at Essanay. Most of the Essanay films, as well as all his later, more celebrated works have been made available on DVD, but these Keystone films are just now getting their first decent DVD release, in a complete box set by Flicker Alley. Very few other releases this year are so essential and so completely satisfying on both entertainment and historical fronts. We see him as a Keystone company man, playing well with the other actors. He makes a great team with Fatty Arbuckle in The Rounders, and takes a small role in the three-reel Arbuckle spectacular The Knockout. For his official directorial debut, Caught in a Cabaret, he shares the credit with his co-star Mabel Normand. We see him learning by fits and starts what would make the Tramp work in the long run. He's often a drunk in these early shorts, and sometimes even appeared in drag. His character was sometimes already married, rather than pining for love. In The New Janitor, he discovered the power of sympathy as well as laughter, and how it could make his Tramp character more profound. That's a lot of leaps and bounds for just one year. The set winds up with Tillie's Punctured Romance, directed by Mack Sennett, which was perhaps the earliest successful feature-length comedy, though it's more historically important than it is artistically interesting. 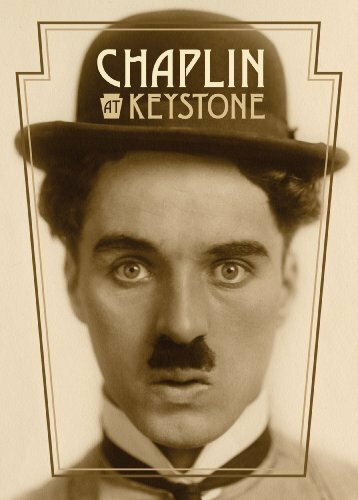 Extras on the box set include some Chaplin fragments and odds & ends, a couple of featurettes about the Keystone project and the locations, and a still gallery. The complete list of films is as follows: Making a Living, Kid Auto Races at Venice, Mabel's Strange Predicament, A Thief Catcher, Between Showers, A Film Johnnie, Tango Tangles, His Favorite Pastime, Cruel, Cruel Love, The Star Boarder, Mabel at the Wheel, Twenty Minutes of Love, Caught in a Cabaret, Caught in the Rain, A Busy Day, The Fatal Mallet, Her Friend the Bandit, The Knockout, Mabel's Busy Day, Mabel's Married Life, Laughing Gas, The Property Man, The Face on the Bar Room Floor, Recreation, The Masquerader, His New Profession, The Rounders, The New Janitor, Those Love Pangs, Dough and Dynamite, Gentlemen of Nerve, His Musical Career, His Trysting Place, Getting Acquainted, His Prehistoric Past, and Tillie's Punctured Romance.